What Kind of Paint Can I Use to Decorate Plastic Wine Glasses? If you have a set of plastic or acrylic wine glasses, you can add your own custom design to the exterior of the glass to personalize them. Using the right kind of paint will help not only with getting the paint to adhere properly but also with it wearing well, even after several washings. Transform plain wine glasses with a little paint. Permanent enamel paint is a safe paint that comes in a variety of different colors. Typically you can find entire kits with several small pots of different colors, or you can purchase pots one-by-one. Enamel paint is ideal for plastic and will adhere well. In addition, it will hold up to hand-washing -- but it is not recommended for use in the dishwasher. The high heat of a dishwasher will wash the paint away over time. Vitrea painting is both a technique and the name of a type of paint used to paint wine glasses. It gives a unique, stained-glass look. Apply this type of paint with a brush, or use what is called the "dip method." The dip method employs several different colors to produce a complicated and beautiful finish on the glass. Always hold the glass upside down during the dip process for the best results. If you will be painting freehand, all you will need is a small set of art brushes. If you prefer a more polished look or don't have the artistic inclination to go freehand, tape stencils to the glass during the painting process. For vitrea painting, you will need either vitrea pens or paint jars, as well as several containers for the dipping process. Plastic containers work well for this application since you can throw them away when you're done. Never paint the inside of a plastic wine glass. The paints recommended for plastic are not safe for food use. 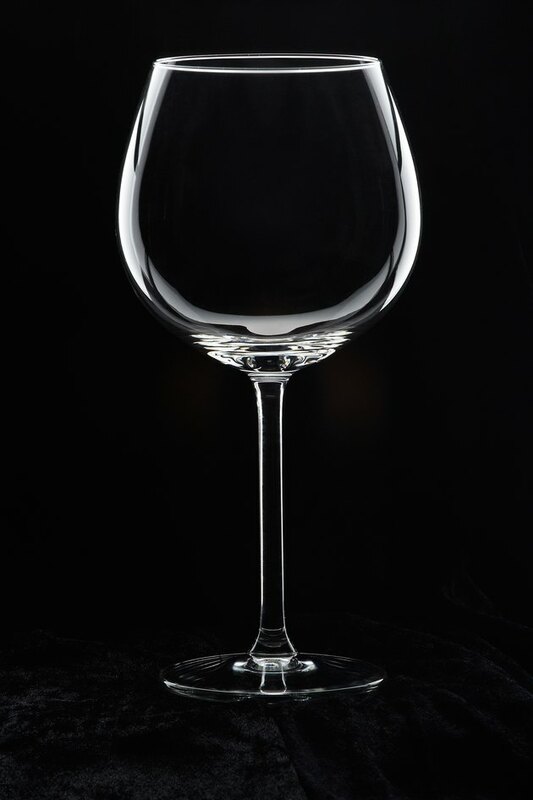 While you can paint the outside of a plastic wine glass, getting paint on the interior could cause health problems if you drink from it. Never use a lead-based paint for painting plastic glassware. Never use spray paints or latex paints for this application. Treat your painted glasses gently; the paint can easily be scraped off in a high-temperature wash or when they're jostled together. What Kind of Paint Do You Use on Stepping Stones?